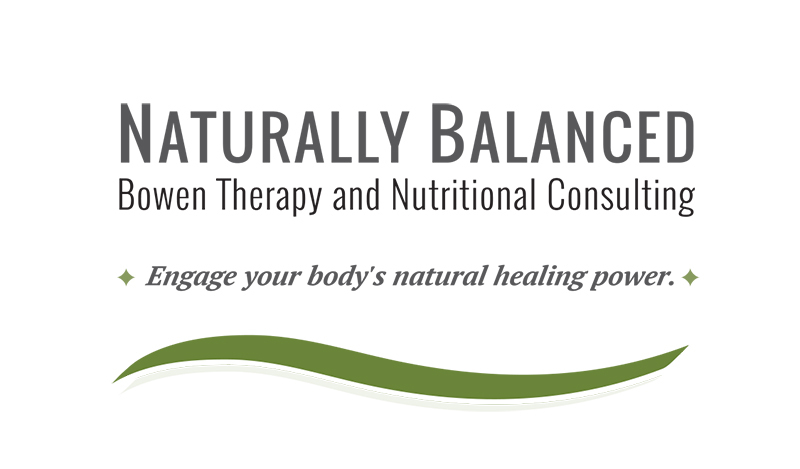 Naturally Balanced is a newly opened clinic in Toronto, Ontario offering Bowen therapy and nutritional consulting. 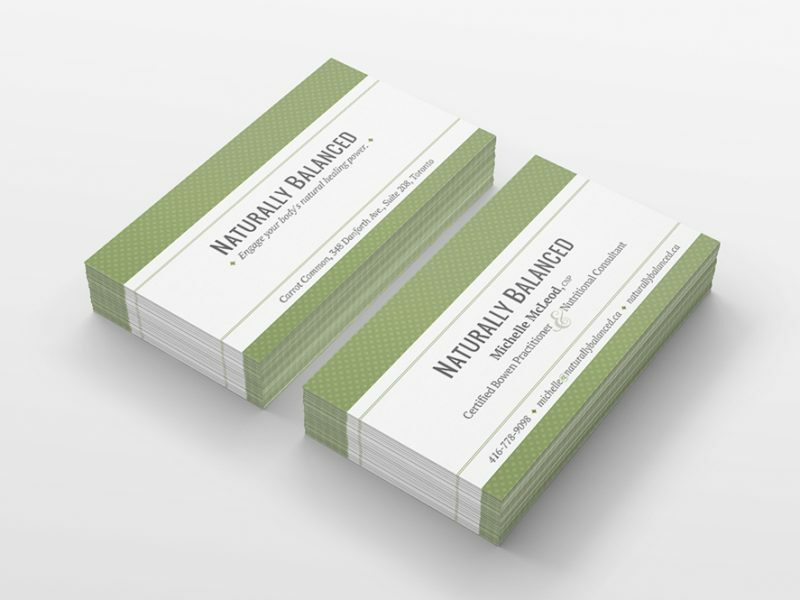 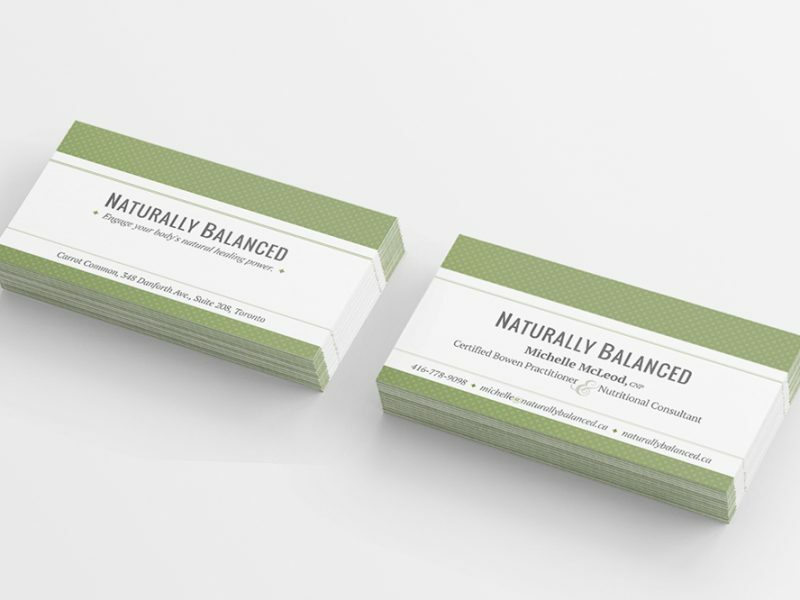 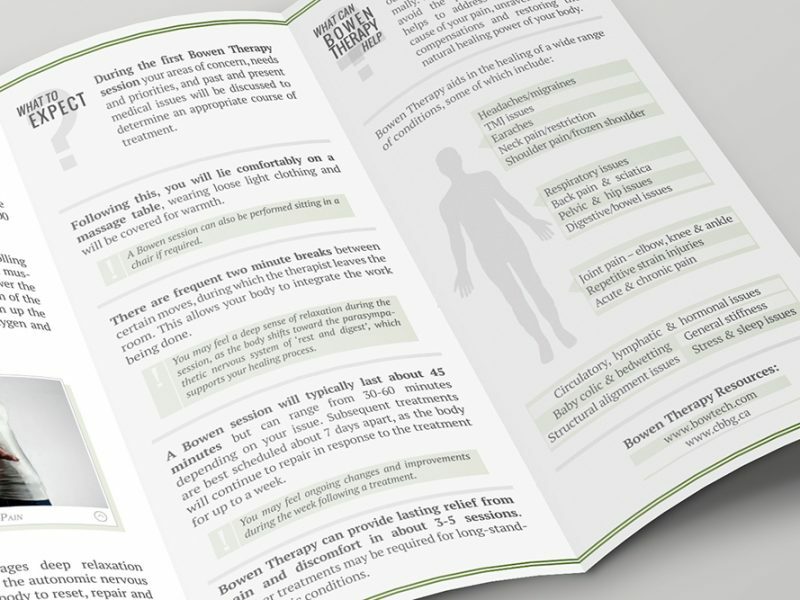 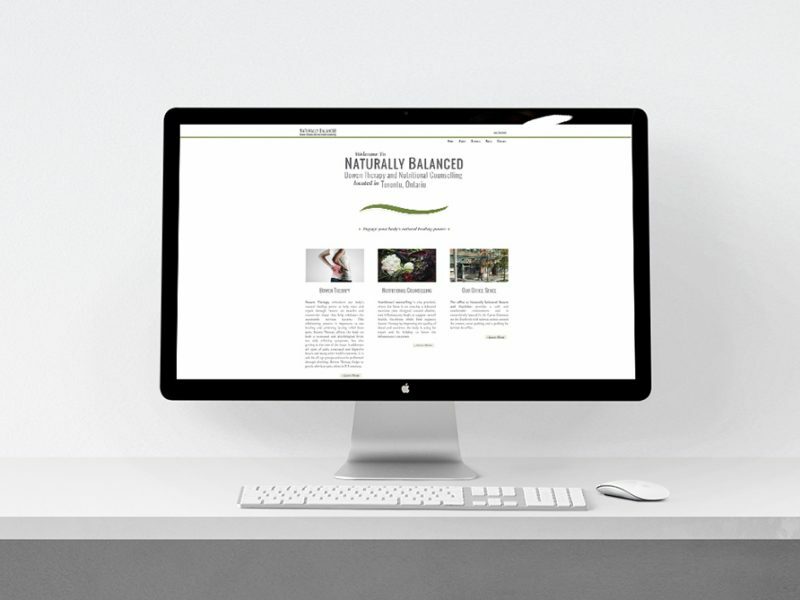 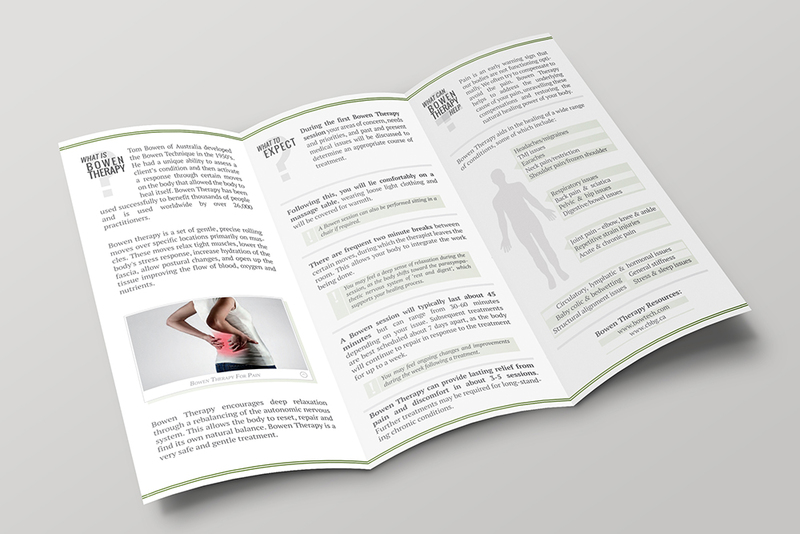 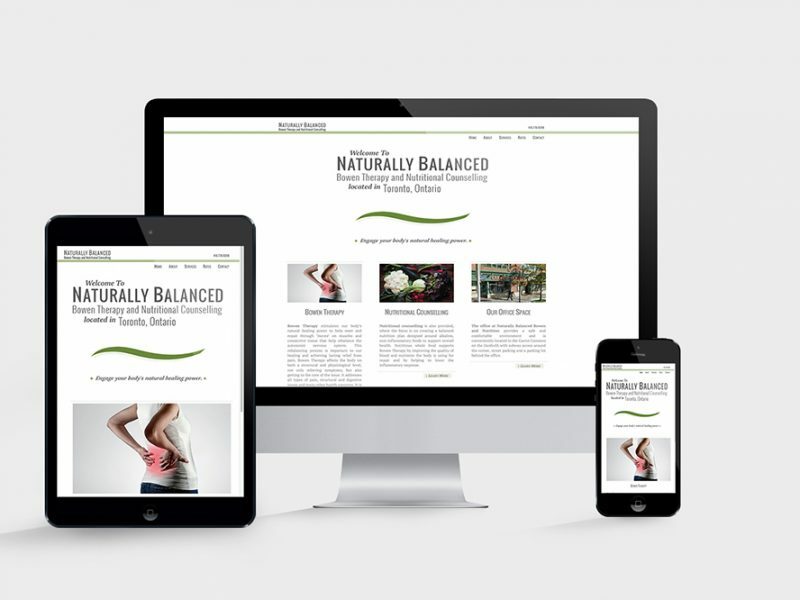 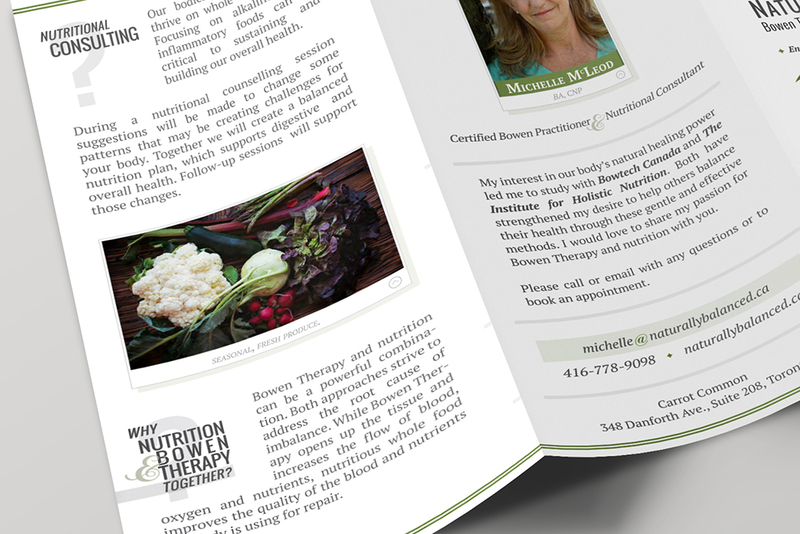 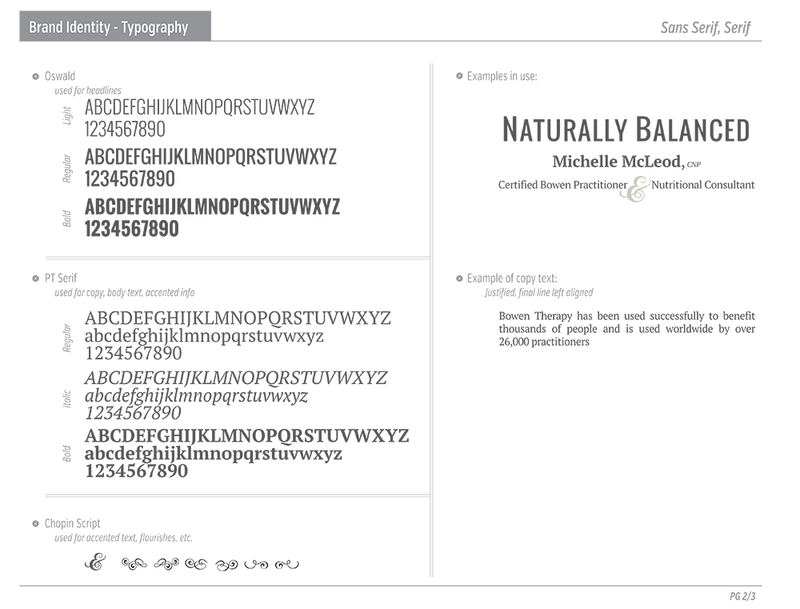 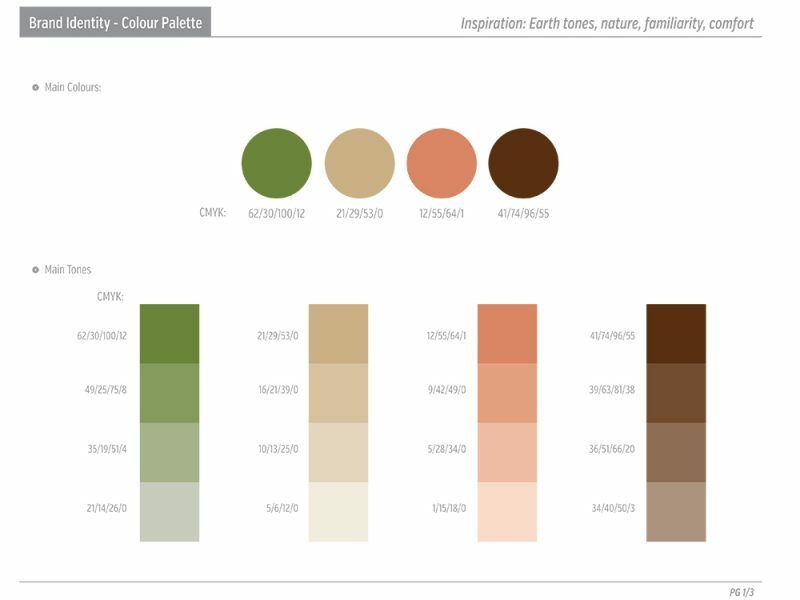 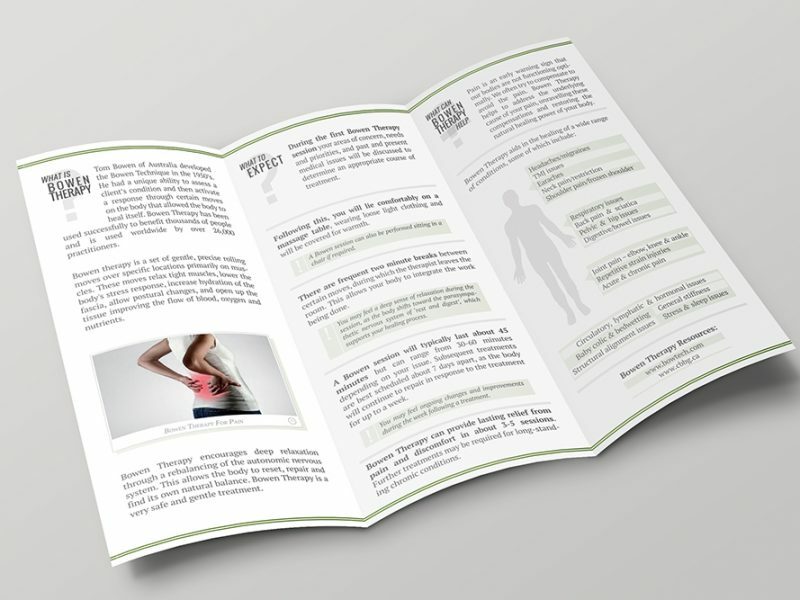 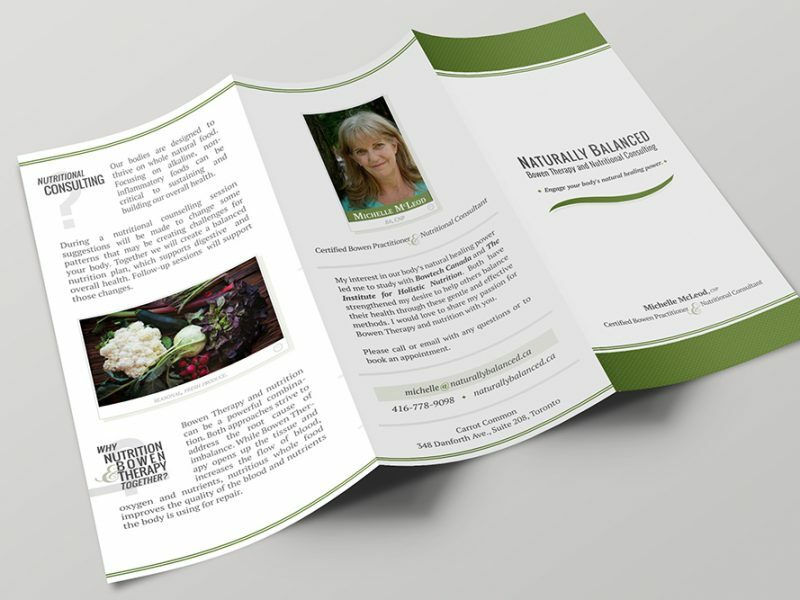 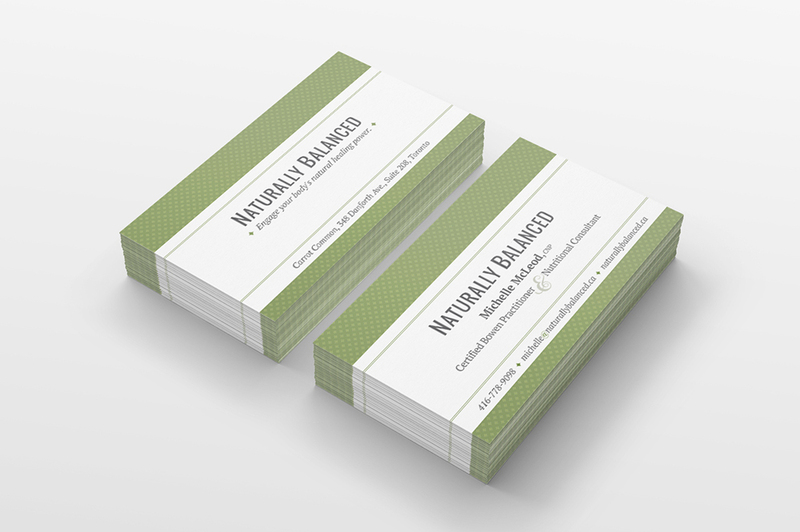 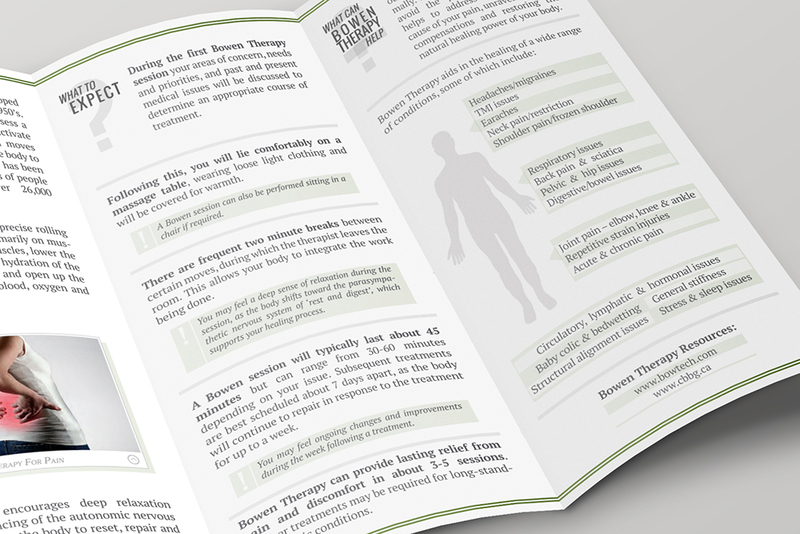 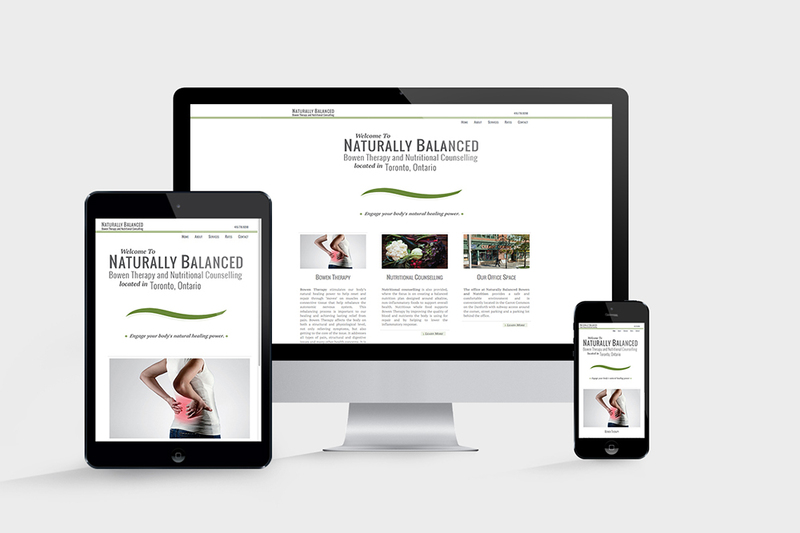 A Brand Apart was contacted by Michelle from Naturally Balanced to create business cards, a tri-fold brochure and website for her new business. 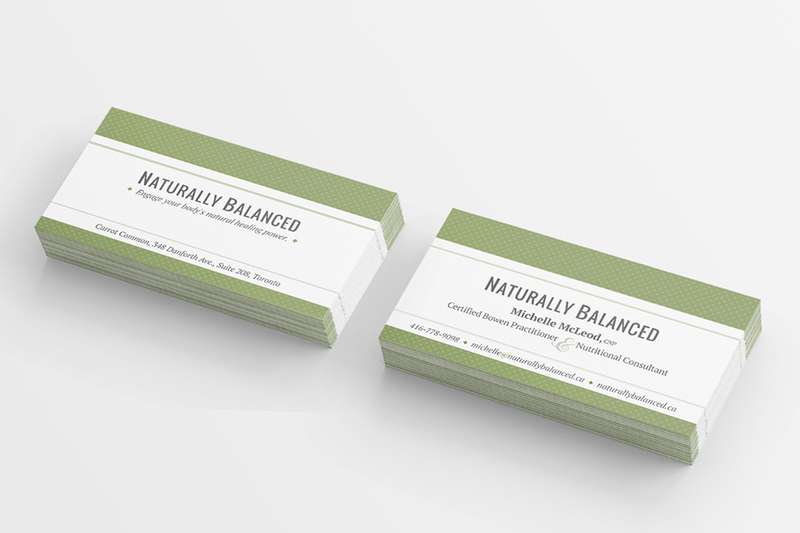 She did not want a logo, but was interested in an identity package that would provide visual cohesion for the items requested. 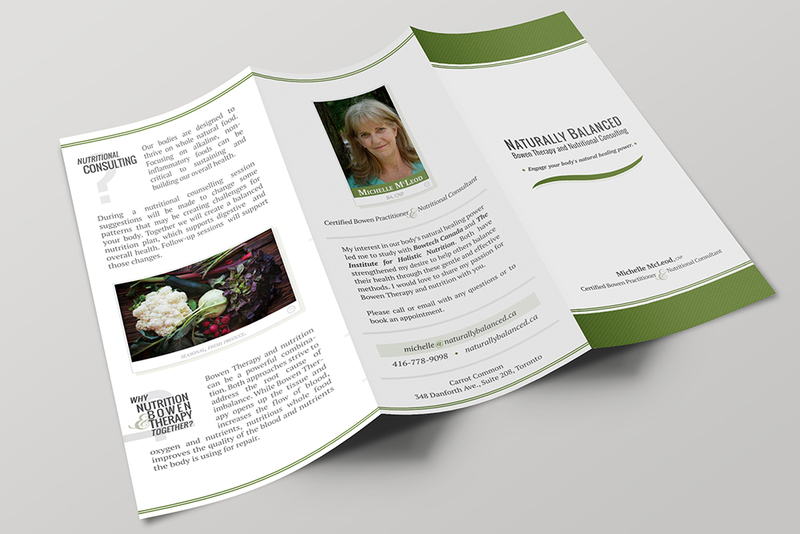 Michelle wanted something wholesome and earthy, similar to Whole Foods, but with more peaceful and tranquil properties. 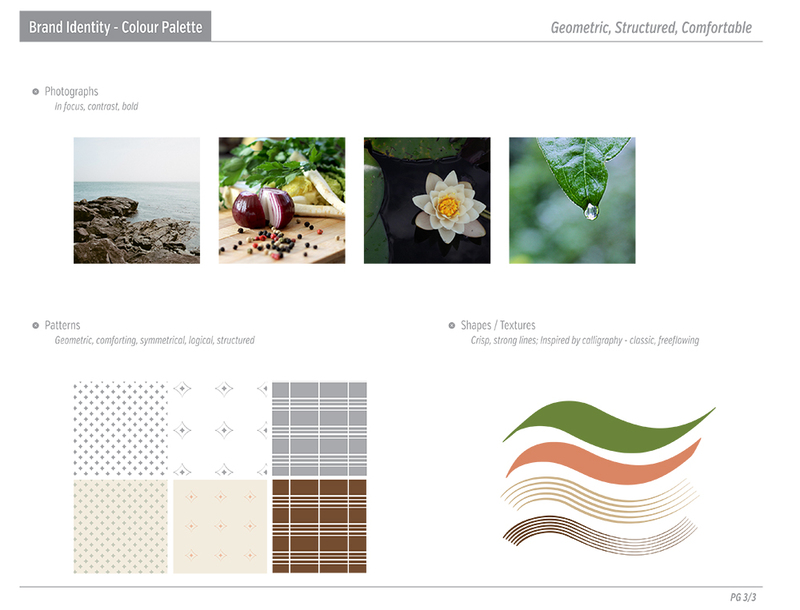 An Identity Package was put together with a colour palette, typefaces, patterns, shapes and photography. 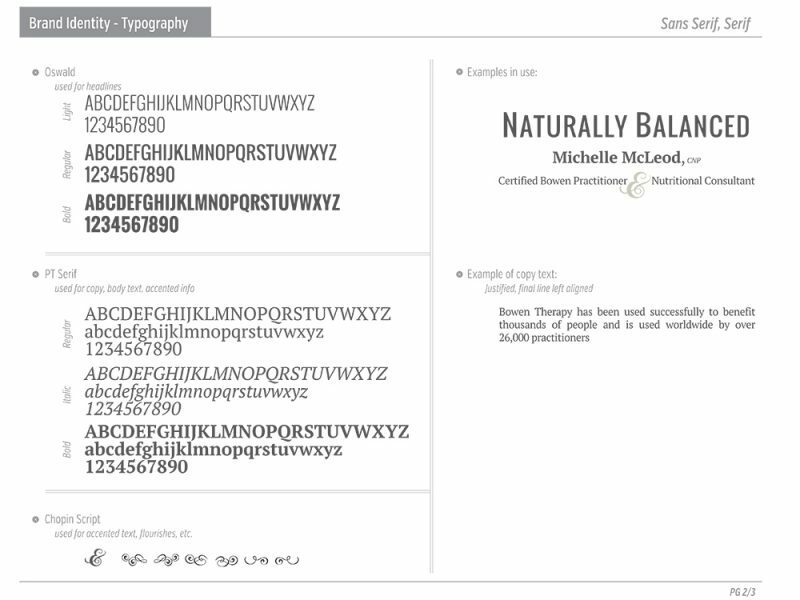 The mood is one of comfort but strength, with curved elements contrasted by strong, bold lines.